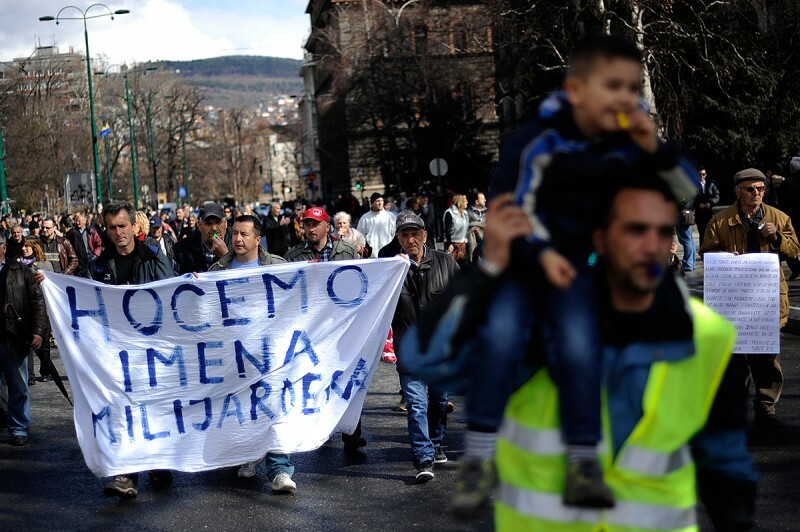 Bosnian people protest in the country's capital of Sarajevo in front of BiH's Presidency building. Several hundred people show up demanding that politicians at all levels of government resign. Banner reads: “We want the names of millionaires”. Photo by Midhat Poturović and used with permission. This month, the Post-Conflict Research Center (PCRC) launched its new web platform Balkan Diskurs, which is dedicated to providing fresh and independent views on issues that matter to people in the countries of the former Yugoslavia. The platform will aim to challenge stereotypes and provide a broad range of perspectives on society, culture, and politics that cannot be found in other media. With regard to PCRC’s project “Media Literacy and Resisting Manipulation”, this platform will play an integral role in the publication and promotion of work produced by the 10 youth bloggers we select to take part in our media workshop being held in Sarajevo at the end of October 2014. Workshop participants will be able to publish their work without fear of censorship, and will be given a space where their voices can be heard. During training, participants will take part in hands-on learning that will cultivate their skills in investigative journalism, multimedia, and blogging so that their work lives up to international standards. Trainees will get the chance to focus on a number of important topics, including photo journalism, writing techniques, conducting interviews, and source verification. After participants complete their training, we aim to keep them actively involved – for one year, they will be responsible for publishing articles every two months that focus on important topics. PCRC wants trainees to utilize their year of writing and support to develop their skills so that they can serve as local correspondents for Balkan Diskurs in the future. 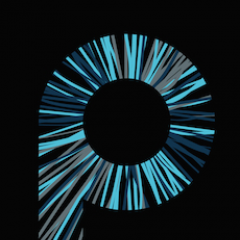 Another special feature of the Balkan Diskurs multimedia platform will be the “Person in Focus” section, which PCRC will use to promote the stories of young people across Bosnia. We will produce youth profiles on topics such as unemployment, education, youth activism, and the challenges young people face in their day-to-day lives. This feature, as well as our emphasis on youth-created content, makes Balkan Diskurs truly unique. As previously mentioned, Balkan Diskurs aims to provide views on issues that matter to people in the countries of the former Yugoslavia. The region recently commemorated 100 years since the assassination of Archduke Franz Ferdinand in Sarajevo—the act that triggered WWI. Due to this event’s importance, PCRC decided to publish a series of analytic and opinion pieces written from the perspectives of several well-known authors from the region. In her piece The Otherworldly Balkans, journalist Paulina Janusz writes about the role such a fateful event has had on the region’s current state of affairs. In his piece An Ordinary Day, poet Marko Tomaš tries to visualize the experiences behind the black and white images of young soldiers from the past. Sociologist and journalist Saida Mustajbegović writes on the topic of missing persons as a legacy of war in her piece The Balkans—An Abode of Unrest. Bosnia’s upcoming 2014 elections will also be a featured topic on Balkan Diskurs. We recently published a piece by Paulina Janusz entitled War Profiteers Go on Campaign that gives insight into the pre-campaign activities of various political elites as they gear up for this year’s round of elections. PCRC will be asking workshop participants to write pieces that present their perspectives on this important topic so as to prompt them to start thinking critically about their role in local and national politics. PCRC will be working with trainees to help teach them how to form opinions based on information from reliable sources, so that they are less likely to become victims of propaganda. Throughout the planning and implementation of this project, we’ve learned that there is a real demand for unbiased news that presents more than one side of an issue. People are fed up with Bosnia’s status quo. This discontent has given rise to a series of protests across Bosnia, and citizens are beginning to insist that their voices are heard. PCRC views the protests as an opportunity for change, and we believe that now is a good time to implement a strategy that puts a spotlight on media manipulation and its implications. Additionally, although we were well aware of the all-encompassing corruption that penetrates every level of Bosnian society, working on this project has given us the chance to learn about the personal experiences of many people. It is glaringly obvious that the lack of objective, relevant, invigorating, independent regional media is preventing people from understanding one another, and we are constantly being reminded about the importance that respecting differences of experience and opinion has regarding reconciliation, democratic transition and interethnic cooperation. Many of the authors and pieces we publish will be considered controversial, but it is important that we provide space for all opinions, not just those considered politically or socially correct. In our case, confirmation bias (i.e. the tendency for people to seek out information that conforms to, or validates, their pre-existing views), has an ethnic undertone. This makes it important for us to provide information and perspectives that span the ethnic spectrum so as to maximize readership as well as present more than one side of the story. Another challenge we face involves the upcoming 2014 elections. We are expecting political pressure on freedom of speech. During election years, politicians are particularly focused on how the media report about their activities. Our publications won’t try to cover up the identities of corrupt political officials, nor will we censor the opinions of our writers. This could prove unfavorable to those involved in unscrupulous activities. On the bright side, our network is strong and we have the right kind of support that will enable us to get the truth out there.